High-quality plastic spreaders can be used with auto body fillers, fiberglass, resin, putty, etc. Smooth consistent spreader edge provides fine even spreading of fillers. Made in USA. #GL-10J Junior Spreaders - 2-1/2" wide x 4". 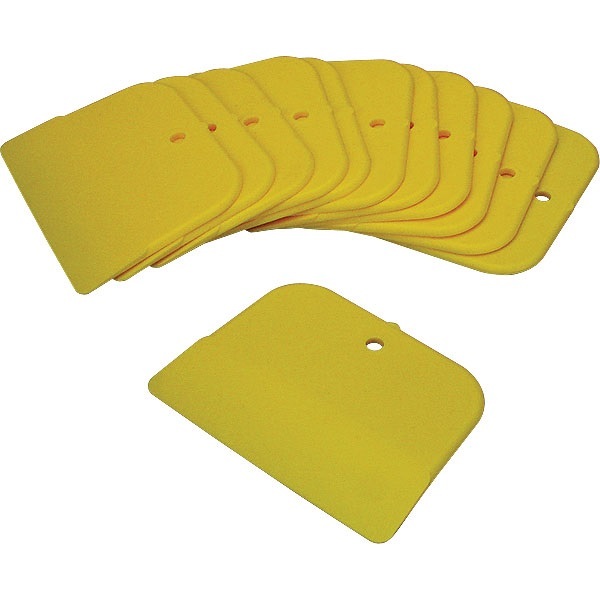 #GL-1214 Standard Spreaders - 4" wide x 3". #GL-1215 Large Spreaders - 5" wide x 3".